Lot of Iconic Pastry in Lisbon in the hands of Rafael Nadal. 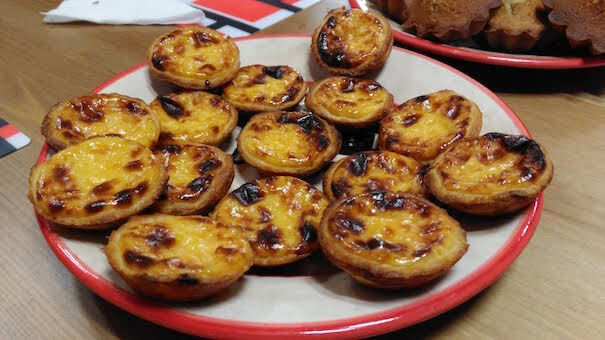 The inhabitants of Lisbon have launched a call to tennis player Rafael Nadal asking him to save one of the most typical pastries of the Portuguese capital. The building was bought by an investment fund that is partly owned by the Spanish tennis player. ‘Do not kill our memories’, the city collective says in an open letter written in Spanish and published on their website. Recently it became clear that patisserie ‘Suiça’, founded in 1922, must be closed. The establishment opens onto Rossio Square and is a meeting place for residents and tourists. Rafael Nadal, the current number 1 on the WTA list, has a stake in the investment fund Mabel Capital, which bought the buildings in February that includes the patisserie. “Suiça” is closed at the end of August because the owners have stopped the lease, says owner Fausto Luis Roxo. ‘It is Suiça where the intellectual Jews met each other who fled to the US during the Second World War,’ says the collective. The place also got a lot of famous people on the floor, including Orson Welles, Maria Callas and Edward Kennedy.